The beach side town of Sosua has a high density of bars, restaurants, pubs and discos, more than many other tourists areas in the Dominican Republic. Walking past the Main strip called Pedro Clisante, travelers find themselves surrounded by a large selection of places to choose from, starting with the bars in Sosua beach, which are many. Up again in El Batey now we find the top places to be Bologna, Sinatra`s ( where PJ`s used to be ), Waterfront, Ottimo`s, the Canadian-owned Checkpoint Bar and Margot`s. As of this writing, Morua Mai was being renovated. Many villa rental guests experience a great adventure when traveling to Sosua, because of its varied lifestyle and places to visit. Oceanfront restaurants like Al Porto put Sosua on the map, due to the fine setting and amazing views of the Atlantic and its beaches. Heading North there`s a classic spot called Valentino`s, belonging to a German migrant called Peter Brockman. Famous Baileys Restaurant Bar is just a few yards away, and facing it there`s a Dominican food restaurant called La Finca ( the farm ) where tourists and locals can enjoy a good Dominican sancocho. Taberna El Conde now tops that spot too, with fine German and international cuisine. Back in Pedro Clisante`s row there is Tipico Alberto, very active among Canadians. On the other side of Alberto there`s another bar, Jolly Rogers, featuring weekly bingo and biweekly flea markets. Located on a hill overlooking Alicia Beach, excellent chefs and atmosphere. Bologna offers a refined atmosphere, the best pizza and air conditioned dining room. Ottimo offers an excellent menu of Italian dishes, in a casual, trendy setting. This restaurant has a varied menu that includes Italian and International dishes. Keep walking and right after the French Pizzeria you find Britannia, the one that opens 7 days a week and keeps a constant flow of visitors year round. Its menu offers a nice selection of American and European dishes including lunch every day at noon time. Right in front of Britannia we find the Elefante Rosso, an Italian spot that quickly took over the scene in the Pedro Clisante, serving great coffee and pastas. 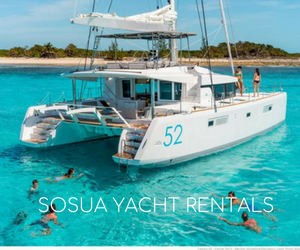 Some villas for rent in Sosua have the option to get delivery service from restaurants in town or a discount for groups when traveling together. Almost next to it, a small pot of gastronomic gold to be discovered: Dulce & Salado. Owned by a couple of Chefs ( Carlos from Spain and Genevieve from DR ) this place is total bliss when it comes to perfect ribs, Spanish Paella and other delicious dishes, period. Classic Cubanos Café faces the Merengue Bar, and as everyone knows the Cubanos was founded by two Cuban friends ( Gustavo & Oscar ) and turned it into the number one café in town for many years. Right in front of Cubanos Café there`s a German restaurant called Schnitzel`s Paradise, run by owner Wolfgang from Austria. It serves a nice menu of German dishes, and has been around for many years offering exquisite food. A very casual restaurant Cafe with bar and live music, a must visit. Dare to say this could be the best German restaurant in town, excellent menu. Al Porto is an international restaurant with beach and oceanfront vistas, fabulous. The best European restaurant, by any standards. Inside a boutique hotel. For those seeking privacy in a luxury B&B, the one everyone`s talking about is Sosua Casa 21. This restaurant has suites for rent in the main house, a true B&B experience with swimming pool and amenities. Saskia and Marc are a Belgian couple that envisioned a truly exquisite space for very exclusive people, located in the upper area of El Batey, calle Piano # 1, Reparto Tavares. Parada Tipica El Choco is a swiss restaurant with European menu, great atmosphere and live music. It is located on the main highway across Sosua Ocean Village. Newer Hispaniola Diner`s Club has fine cuisine of international dishes, worth a visit. Those that love ribs, steaks and Texan food should stop by the Crazy Ranch, which features great home brewed beer too. Making the top list, Bologna, a classic Italian family business with air conditioned areas and gourmet dishes. Bologna has been a classic in Sosua since many years ago, with its famous pizzas and pastas. A fine selection of Italian, Spanish and French wines have made it world famous among visitors to Sosua and Cabarete. Those who book holiday villa rentals in Sosua get a printed menu from Bologna, and have their delivery service at their footsteps from 8:am to 12:00 midnight. A change of scenery brings us to El Flow, the first Latin bar in town where Presidente beer and other drinks are sold at the price of colmadones ( local grocery stores ). El Flow is frequented mostly by local Dominicans and North American tourists, though some Europeans are seen there as well. Sosua Lights is the place where singles go for drinks and women jump on them as the enter, so beware singles when you visit the area. Set in Pedro Clisante Street right after Harrison`s Jewelry, this bar is all about night life and parties, always hosted by many women in the lookout for single tourists. Other famous bars in Sosua are Mamajuana, Chez Mon Real, Sunset Drinks, Flame Bar, Ice Bar and Merengue ( this last below Clasico disco ). Club 69 and Merengue Bar, better known as D` Clasico are the most famous spots in Sosua, because it is always full of people from all over the country and worldwide visitors that come to meet beautiful women in town. Don Andrés is the Dutch restaurant of excellence on the way to Casa Marina beach, near the baseball field of Sosua. It has a hotel and a bar, and is frequented mostly by European guests. Sosua villas for rent in the area depend entirely on the quality of these restaurants and bar, because even if travelers request self catering villas and condos they always end up eating in the local restaurants.